The “Method” is more than the sum of the activities of which it is made. The Method is the culture of Barefoot. Training activities may continuously adapt and be improved upon but our culture is enduring. We believe to play different you must train different. In order to develop the game's most exciting players we are using the most exciting training methods the world has to offer. Here is a sampling of the training activities that contribute to the Barefoot Method. 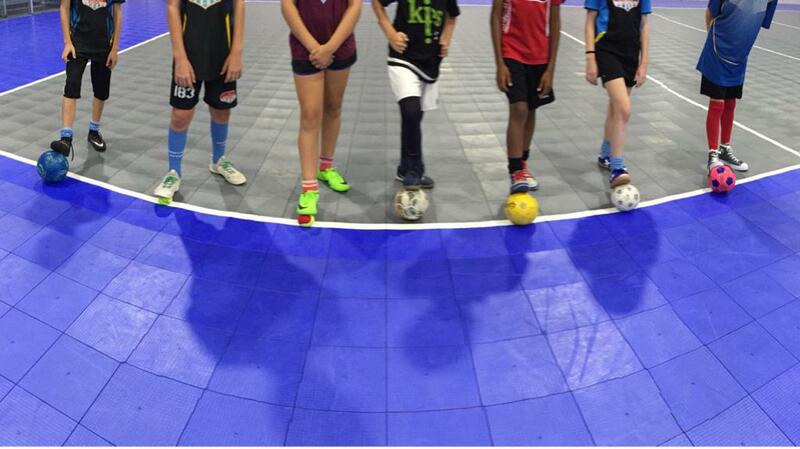 Futsal provides the core of the Barefoot Method player development model. The high speed and compact space along with the hard surface and small heavy ball provides the ideal environment for building advanced player capacities. Beach soccer has been made famous in locations such as Brazil and Colombia. The challenging surface forces players to move the ball through the air. Aerial mastery is the natural outcome from beach soccer training. Working in the sand also cross trains the body to fortify against injury by developing additional muscles groups. Proprioception is learning to refine your body's movement in the space around yourself. By removing the use of eyes, players are focused completely on their body movement and integrating information from the remaining senses. Going barefoot enhances feel and connects us to our environment and this helps our balance and develops our natural movements. More information = more learning, and barefoot training provides "broadband" delivery of critical information, which in turn speeds up the learning, and hones precision in technique. Our Futsal immersion program takes place in Medellin, Colombia. One school we visit trains on a polished stone floor. Playing on slick hard surfaces, forces a player to be pro-active vs re-active. The player also learns how to master control through destabilization. We replicate & exaggerate these real life challenges best by training in SOCKS. Challenging the limits of what can be done with a soccer ball, free-style players show total command of the ball. A common sight on the streets of soccer obsessed South America, we bring free-style training to our players. With mastery comes the ability to adapt to situations as needed. This concept of learning to adapt to variables is the difference between good and elite players. We train with a variety of round objects, on a variety of surfaces, in a variety of situations so players learn mastery and adaptability. A martial art born in Brazil, Capoeira builds body control and flexibility. Many believe this skill is one of the secrets to the fluid movements Brazilian strikers are famous for.